Alpha Rescue EMS is looking for dedicated Paramedics who are willing to work hard, exhibit strong leadership and be a part of our EMS Family. We offer great pay and rewarding benefits. You must be a state certified paramedic in order to be considered for the available positions. Administers basic and advanced life support care to sick and injured persons in pre-hospital setting under direction of an Emergency Department Physician consistent with state and local protocols by performing the following duties. Performs continuation of care and observation during inter-facility patient transfers per direction of responsible physician. Assesses nature and extent of illness or injury to establish and prioritize medical procedures to be followed or need for additional assistance. Initiates intravenous fluids to administer medication or drugs, or to replace fluids lacking in body. Performs Endotracheal intubation and cricothyrotomy to open airways and ventilate patient. Administers injections of medications, drugs, or immunizations. Administers initial treatment at emergency scene and takes and records patient’s vital signs. Provide medical examination and screening of patients consistent with District and Medical Director Protocols. Assists in extricating trapped victims and transports sick and injured persons to treatment center. Lifts and places patients on stretcher, restrains patient appropriately, lifts and moves patient to stretcher, lifts and moves loaded stretcher into ambulance. Observes, records, and reports to physician, patient’s conditions, and reaction to drugs, treatments, and significant incidents. 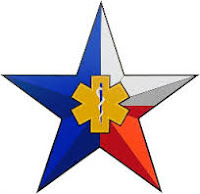 Directs and coordinates patient care, between inter-agency (i.e. Fire and police) personnel and other District employees. Drives ambulances to and from emergency and non-emergency scenes in a manner appropriate to dispatch direction and to patient condition, at all times considering due regard for the safety of self and others. Communicates with Physician and other medical personnel via radio or telephone. Completes all reports, including patient care records, legibly, accurately, and on a timely basis. For patient care reports this must be turned in before the end of your shift. Performs all duties in a safe courteous, confidential and professional manner, always taking into account the well-being of the patient. Mentors, trains, and encourages fellow staff as needed, to help them attain their full potential. Maintains response readiness consistent with District’s response criteria. Uses safety and PPE equipment as required by law and District policies. Maintains vehicles an quarters pursuant to AREMS policies. Must do public relations when feasible. Cleans crew quarters and units. Everything must be done in a moral, ethical, and legal manner.Be trustworthy and show integrity.Always consider the internal and external customer. Participate in meetings and trainings.Remember…we win and we lose as a team, not individuals.Have fun. Enjoy working with the group.Help your fellow members succeed.Recognize fellow employees for a job well done.Build relationships to improve trust and understanding. Increase education and skill level.Focus on helping to move the district forward.Seek to improve everything we do.Think why we can, instead of why we can’t.Be data driven. Treat others the way you wish to be treated.See value in others. Everyone has value.Care about the other employees and help them succeed.Focus more on the positive attributes of others instead of the negative. We will not ignore the negative, but we will emphasize the positive.Help energize others by being motivated yourself. Reuse, Recycle whenever possible.Is there a less expensive way to do it?Can you accomplish the task with greater value.Understand our budget is limited. How can we make the biggest impact with what we have? When you bring a concern to a supervisor bring two possible solutions.Do not engage in chronic complaining. Be part of the solution, not part of the problem. Complaining does little to improve the organization.Help us work towards positive solutions.Don’t accept negative behavior in others. Bring negativity to their attention.Avoid negative thinking. Negative thinking is contagious and limits our potential.Remember….Attitude is a choice; choose to have a good one.Develop a “Can Do’ attitude. You are in control of your potential.Focus on making a positive impact on others and the district.Deal in FACTS, not assumptions.Play to win versus play not to lose. Remember…You’re here to help the company succeed.Stay focused on contributing to the mission, vision, and goals.Don’t get distracted with personal agendas.You are our most valuable resource…we will support you through education, training, coaching anc counseling.Every task that you engage in must be aligned with the mission. Challenge the process! Anything can be improved.Bring creative solutions to the table regardless if there is a problem or not.Look at problems as opportunities. How can we improve?Seek out opportunity and ways to implement.Build a better mousetrap but let someone else prove it works rather that our patients. Seek out opportunity any time you are confronted with adversity.You are in control of your destiny.This organization was built around self-starters and people who speak their mind. Communicate by participation in meetings, trainings, special events and community education opportunities.Communicate by asking questions and offering positive solutions.Participate by helping the organization be better today than it was yesterday. Keep communication open.Always seek win-win solutions.Allow mistakes. We will all make mistakes when we try new ideas.Learning must take place when we make mistakes.Poor performance is not tolerated.We are constantly faced with adversity and problems. Don’t let the problems pull you down. Our job is to adapt and overcome problems. Qualifications Requirements: To perform this job successfully, an individual must be able to perform each essential duty satisfactorily. The requirements listed below are representative of the knowledge, skill, and/or ability required. Language Skills: Ability to read and interpret documents such as safety rules, operating and maintenance instructions, and procedure manuals. Ability to write grammatically correct routine reports and correspondence. Ability to effectively interact and communicate with patients, co-workers and company staff. Mathematical Skills: Ability to add, subtract, multiply, and divide in all units of measure, using whole numbers, common fractions,and decimals. Ability to compute rate, ratio, and percent and interpret EKG charts. Certificates, License, Registrations: Current Paramedic License for the State of Texas Current CPR Current certifications in ACLS (Advanced Cardiac Life Support).Current certifications in PALS (Pediatric Advanced Life Support).Valid State of Texas motor vehicle operating license, with continued safe driving history.Area City driving permits. Physical Demands: The physical demands described here are representative of those that must be made by an employee to successfully perform the essential functions of this job.While performing the duties of this job, the employee is regularly required to stand, walk, use hands and fingers,handle, or feel objects, equipment, or controls; reach with hands and arms; see, talk and/or hear. The employeefrequently is required to climb or balance and stoop, kneel, sit, crouch, or crawl. The employee is occasionally required to taste or smell. Very Heavy Work: Employees must be able to lift, carry, push and/or pull, and balance up to 125 pounds (250 pounds with assistance). Frequent exposure to physically stressful situations. High Emotional Effort: Work environment frequently hectic with exposure to highly emotional situations. Regular scheduling involves long shifts and regularly scheduled and unscheduled overtime. Work Environment: The work environment characteristics described here are representative of those an employee encounters while performing the essential functions of this job.While performing the duties of this job, the employee frequently works in outside weather conditions and isexposed to vibration. The employee occasionally works near moving mechanical parts and in high precarious places, and is occasionally exposed to wet and or humid conditions, fumes or airborne particles, toxic or caustic chemicals, extreme cold, extreme heat, and risk of electrical shock, blood and body fluids and associated pathogens.The noise level in the work environment is usually moderate, but may be high at times due to vehicle, highway and mechanical equipment noise.This description is intended to indicate the kinds of tasks and levels of work difficulty that will be required of positions that will be given his title and shall not be construed as declaring what the specific duties and responsibilities of any particular position shall be. It is not intended to limit or in any way modify the right of any supervisor to assign, direct, and control he work of employees under his/her supervision. The use of a particular expression or illustration describing duties shall not be held to exclude other duties not mentioned that are of similar kind or level of difficulty. Email: mccoy.mia@alpharescueems.com to get an application.